Hello Everyone! 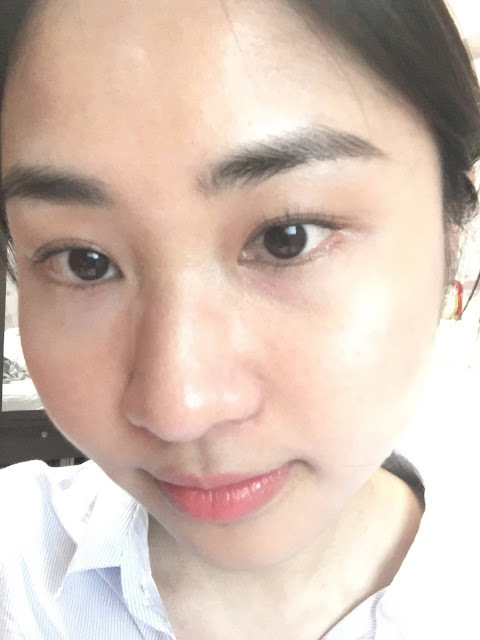 I've finally waited long enough to confirm my opinion in this post: EYE LASH PERMING BY SKINN BEAUTY & BODY (brought through Groupon). It was my FIRST TIME purchasing from Groupon. I heard from my colleague that Skinn does nice eyelash perm and can be purchased from Groupon. So, i went ahead to buy it since i've been wanting to try eyelash perm for quite some time. And as you know, since this is my first time, i was so nervous! I don't know if the result will be good or not. I don't know if this is a scam or not. I tried googling about Skinn's eyelash perm review but i could not really get any info. 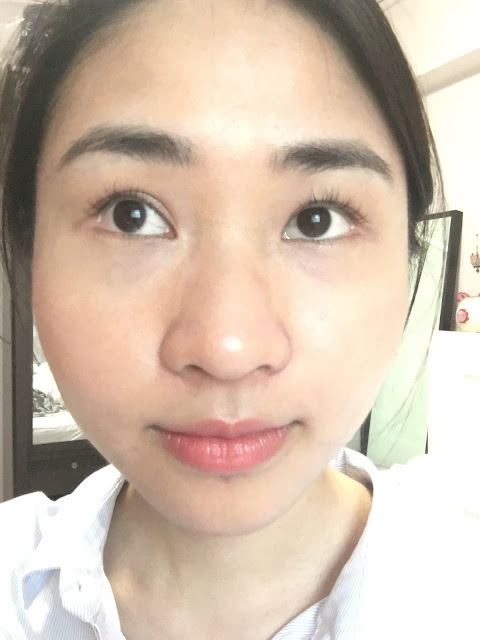 I bought the 3 sessions of the 3D Japanese Eyelash Perming package because i thought the perming would only last at most 2-3 weeks per session. Purchased this on Thursday (23rd Feb 2017) and immediately made a call to book for appointment to do it. They had an available slot on that Saturday at 4pm, the rest of the weekend slots were basically full. I just share a bit of my experience with you guys first before i comment on my final review. I reached the salon on time at 4pm. I filled up a form with my personal details to them, they served me tea and i sat and waited. I waited.... and i waited.... and i waited.... 20minutes passed, i stood up and asked the staff is it my turn soon? The staff said yes 5 minutes very soon! Then i waited... and waited.... 10minutes later i asked again is it my turn already? The staff was very perplexed and went to ask the other staff if my room is ready or not. You know what happened? The room which i was supposed to go in to was ACCIDENTALLY taken away by another customer. SO I HAD NO ROOM TO DO IT. Afterwards, she apologised to me. I was already a bit annoyed la. I waited for 30minutes already leh. 5 minutes later she came back to me with 2 eye masks for me to apply as COMPLIMENTARY SERVICE and gave me a few samples to try at home to express their apology. But at that point of time, i just wanted MY DAMN EYELASH PERM SESSION TO START. Fast forward 20 minutes (which means I WAITED FOR A TOTAL OF 50 MINUTES), it was finally my turn!!!! From a 4pm appointment to a 5pm appointment. In the room, the beautician gave me a complimentary facial wash (WHICH I THANK YOU BUT I SERIOUSLY DIDN'T WANT IT BECAUSE I WAS IN A RUSH. I was supposed to play mahjong with my friends at 6pm. And i have waited long enough i want the eyelash perm to start RIGHT NOW. It would be better if they can give this complimentary facial wash for my next appointment but they said it cannot be done.). I chose M size eyelash perm. Its either M size or Natural. The whole process took about 1 hour 45 minutes. (inclusive of the 10 minutes facial wash + massage). When they perm your lashes, the smell of the solution that they use is very similar to those hair dye chemicals that you smell in the hair salon. The result??? IT WAS FANTASTIC. lol. Despite the SUPER LATE appointment, they did my eyelash really well. My eyelash doesn't look un-natural. It was super perm. How did it last? As i'm writing this post now, my eye lash is still 10% perm. IT LASTED FOR MORE THAN A MONTH!!! And i didn't take extra efforts to maintain the lashes. I rub my eyes like i normally would. I wash my face like how i always wash it. Did i put mascara on my eyelashes? No i don't have to because it was already very perm. But also because this eyelash perm lasted for so long, it makes me think WHY I WENT TO BUY THE 3 SESSIONS???? The terms and conditions are that i have to use all 3 sessions within 4 months of purchase. It has already passed 2 months now. I can at most use up till the 2nd session only. So a word of advice : YOU DO NOT NEED TO BUY 3 SESSIONS (if condition is that you need to finish within 4months). Any negative comment? Besides the ultra long waiting period (which actually you don't need to wait this long normally. i was just very unlucky that day), my eyelashes WERE FALLING OUT. I remember about 7 eye lashes from both eyes fell in the first week after my treatment. I guess the chemical was too strong? But luckily i have enough lashes on my eyes so you cannot really tell the difference. In the second week, my lashes fell too. Given this fall out of lashes, i'm hesitating if i should go and do the 2nd session. If i wait longer, it may pass the 4 months and it will be equivalent of me buying a one session @ $45. Frequent eyelash perming can be very damaging to your eyelash, just like how frequent hair dye can damage your hair. Same logic. I guess i will just make a call to Skinn and ask when is the expiry date of my package then decide when to go again. I'm not sure if you can see it clearly through this picture, but it is still very perm in real life. Overall, if you want nice perm lashes, you can go for Skinn and buy it on Groupon. You can give it a try. It really makes your eyes look more awake. But just be careful some of your lashes may fall out. If you have been wondering if you can get the same hair type and color as your buddy or favorite actor, you are on the right page.